At the celebration, from left, Hooper Matthews III, Dale Ash, Cindy Colville, Webb Nall. On August 18, 1967, Webb Nall started work at Pepsi-Cola Bottling Company. Just three weeks prior to that date, the Matthews family bought the business. Dale Matthews (Ash) was eight years old. 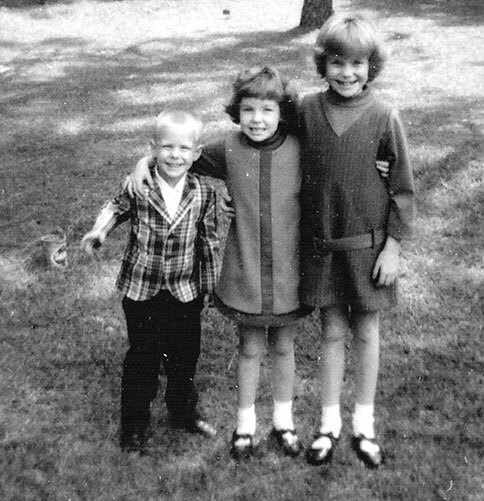 Cindy Matthews (Colville) was five. Hooper Matthews III was two. 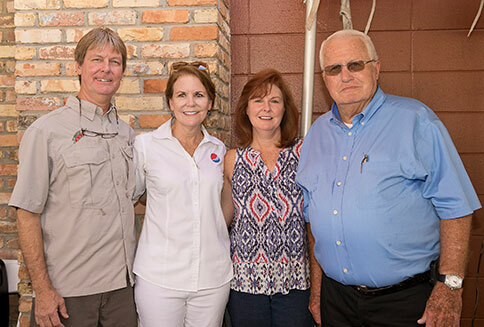 Last Friday, August, 18, 2017, the Matthews hosted a luncheon for anyone who wished to come help them celebrate the family’s 50th year in business and Nall’s 50th year of employment. About 300 of their closest friends attended, congratulating the family and Nall and enjoying lunch with each other. It was hot. Terribly hot. Even with huge fans blowing under the large white tent. But nobody seemed to mind much. Photo from the estate of Merle Matthews Circa 1967, when the family bought Pepsi Bottling in Atmore and when Webb Nall first met the Matthews kids, from left, Hooper, Cindy and Dale.